HydroAlgorithmics is an Australian company dedicated to the research and development of innovative new tools and techniques in a number of scientific and engineering disciplines. AlgoCompute is our web-based platform that makes it easy to perform simulation, automated calibration and uncertainty analysis at any scale in the cloud. AlgoMesh is our flagship product for mesh generation and building three-dimensional groundwater and integrated hydrological models. 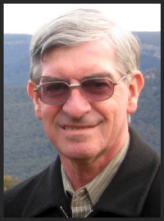 Dr Noel Merrick is a groundwater modeler, hydrogeologist and geophysicist with over 40 years' experience in groundwater management issues and policies. He retired in 2009 as an Associate Professor at the University of Technology, Sydney, where he was Director of the National Centre for Groundwater Management and ran courses in Groundwater Modeling, Groundwater Geophysics and Groundwater Policy and Management. Since then he has specialized in providing groundwater modeling and peer review services, particularly for the mining industry. As a researcher, he pioneered methods for resource sustainability quantification and management, particularly using optimization techniques, and has been engaged in research projects with the Aquaculture, Rice, Cotton and Contaminant CRCs. He led the development of HotSpots, the software that is being used by the NSW government to facilitate groundwater trading. As a consultant, he has undertaken many environmental impact studies for major infrastructure, resource and mining projects. He was a member of the NSW working group that drafted the State Groundwater Policy documents and recently has been instrumental in the final form of the NSW Aquifer Interference Policy. He has participated on several expert panels for the NSW government, is a salinity auditor for the Murray-Darling Basin Authority, and has been a modeling adviser to the Commonwealth government and to five State governments. Noel is in demand as a peer reviewer and mentor on many groundwater assessments and modeling studies, particularly coal mine assessments. 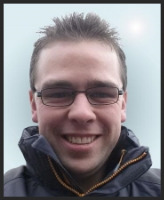 Dr Damian Merrick is a software developer, computer scientist and information technology professional with over 15 years' experience. Throughout his career, he has developed technological solutions to complex problems across a wide range of application domains: groundwater and surface water modeling, geographical information systems, information visualization, transportation, defense and marketing. For several years, he created algorithms and data structures to solve academic research problems in the fields of computational geometry, automated graph drawing and information visualization. In 2008, he returned to industry to indulge his passion for hands-on software development, working as a software engineer and subsequently development team leader at XP Solutions, a major developer and vendor of surface water modeling software. Since then, he served as technical lead in a team of Microsoft .NET software developers at Thales, providing technical direction, reviews and mentoring while on a project engineering a supervision system for a French national network of heavy vehicle traffic tolling points. Damian specializes in understanding complex problem domains, and converting the results of research in those domains into software that is reliable, effective and efficient.